You can customize your sign up functionality by enabling reCaptcha, or you can configure API Portal with SMTP to enable sending user registration emails. reCaptcha is a free service you can add to the API Portal sign up page to prevent spam and abuse. 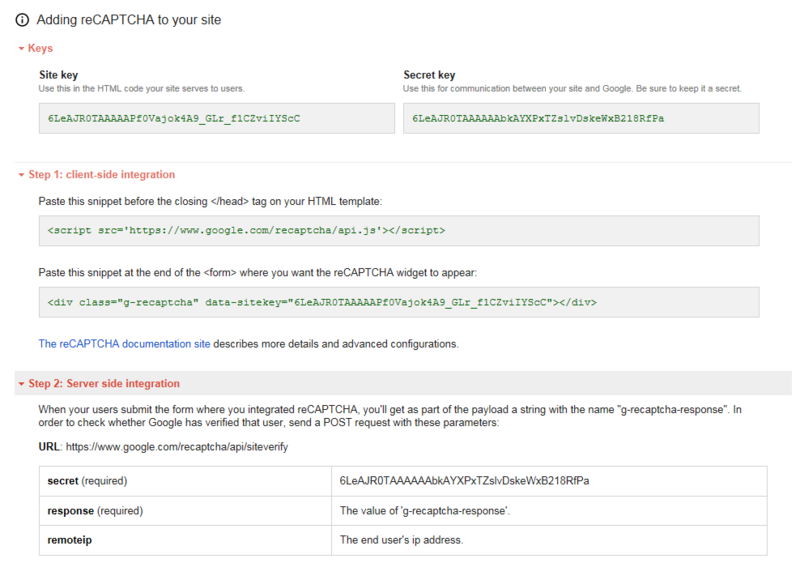 The reCaptcha plugin is available in Joomla!. Note You must have a Google user name and password to add reCaptcha. For more details, see reCaptcha documentation. Go to the reCaptcha admin page. 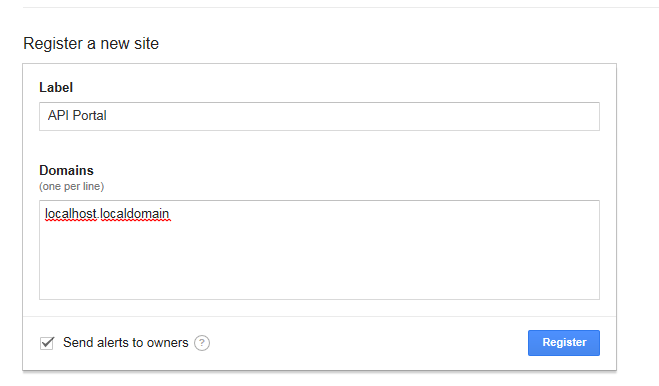 Give a label for your site (such as API Portal) label, enter the API Portal domain (here localhost.localdomain) in the Domains field, and select Register. Log in to the Joomla! Administrator Interface (JAI) (https://<API Portal_host>/administrator). Enter the respective reCaptcha keys to the Site key and Secret key fields. Set the Status of the plugin to Enabled, and click Save & Close. Click System > Global Configuration > Users. On the User Options tab, set the Captcha field to Captcha - ReCaptcha, and click Save & Close. To verify the change, go to API Portal home page, and click Sign In > Sign up. 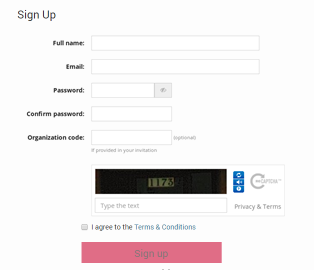 The reCaptcha functionality is displayed on the sign up page. You can configure API Portal with SMTP. The SMTP configuration is done in API Manager. For more details, see Configure API Manager settings in Policy Studio in the API Manager User Guide.